Today’s share is a fantastic reblog from Diana Peach of Mythsofthemirror . Diana is sharing with us about the importance of the first chapter of our books, writing tips about what elements should be part of those first chapters, and her take on when the rules can be broken. I’ve wanted to write about first chapters for a while, primarily because they’re so important. After all, they’re the gateway to Chapter 2 and getting a reader to Chapter 2 is a fantastic idea. I did some research and almost instantly the rule-resistant rebel in me kicked in. She’s the writer who scowls at formulas, who insists that form has to fit the story, not the other way around. She’s the reader who doesn’t want to read the same story over and over with different titles. Well, I suppressed the first-born smarty-pants part of my personality and learned a few things. The Prolog – A prolog is an episode that pertains to your story but does not include the hero (or includes the hero at a time well before the story proper begins, when he’s a child). It might not be “Chapter 1” per se, but it can serve as a legitimate opening—if it works. The Hero Action Beginning – In a hero action beginning, the hero is onstage, doing something active and interesting related to the launching of the core story (it need not involve explosions and car chases, but it certainly can). The In Medias Res Beginning (in the middle of things ) – With in medias res, you start at a point deep in the story, show a bit of activity to intrigue the reader, and then you hit the rewind button and spend some or all of the rest of the book catching up to that moment. The Frame Device – The final major way of beginning your first chapter is to use a frame device. In this, your story is bookended on the front and back (and usually a few instances in the middle) by a story that is outside the main story. The primary tale is framed by this other story. 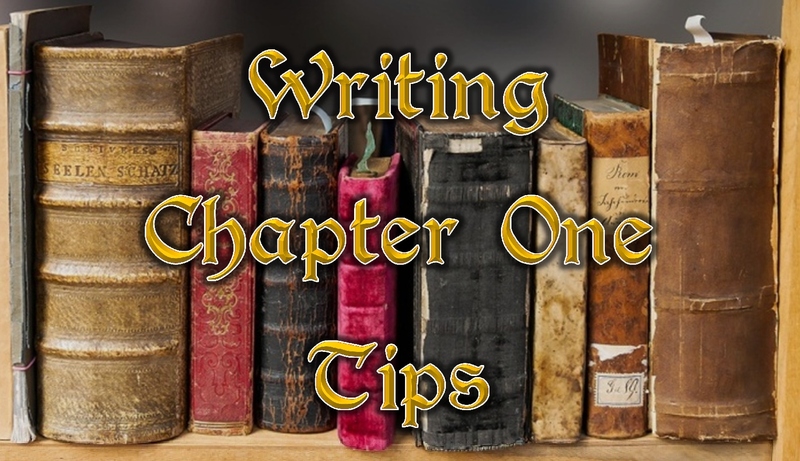 With that out of the way, I went in search of tips that apply to Chapter 1’s regardless of the book, tips that I could apply as I conceive of, write, and edit my stories. As usual, there are exceptions to these tips, and the list is not exhaustive. Continue Reading . . . I didn’t know about those four Chapter One’s, but they make perfect sense. I’ve read books that start almost at the climax and spend most of the book catching us up. Not my favorite, but really, it’s not much different from another style except I know where we’re headed!